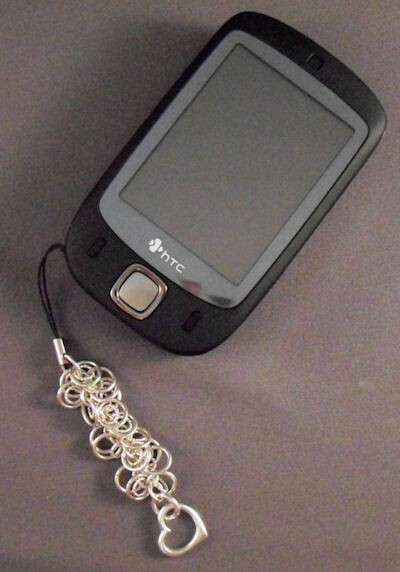 The Sassy Swirl of Rings Cellphone Lariat is a wonderful addition to your phone. It adds interest and fun to the phone. The heart charm is included in the kit. This is a beginner project. Of course the cellphone is not included.